The action, adventure and over the top suspense continues as Blake Meyer intensifies his attempts to save his family and the country on several fronts. Blake Meyer is a man trying to hold himself together so he can attempt to locate those who are enemies of his family and America. Blake’s internal conflict is off the scale as he tries to think as a soldier, agent and father. The author does a superb job of giving readers clues that might tell us more about Blake as he is complex and much is yet to be revealed. What happens to his family for me was hard to read as it grabbed my heart and placed it in my throat. Nothing is told in a way that would cause readers to close the book; it’s a very clean novel. It’s just the idea of abduction and human trafficking that can be read from everyday newspapers that made the tale more real at least for me. The possible threat of a mole inside the government and the working of that mole with nefarious other people from other nations ramps up the tension in the book. The one character I like too is Harrison who knows the Lord and continues to share Him with Blake in hopes it will bring him comfort during his ordeal. 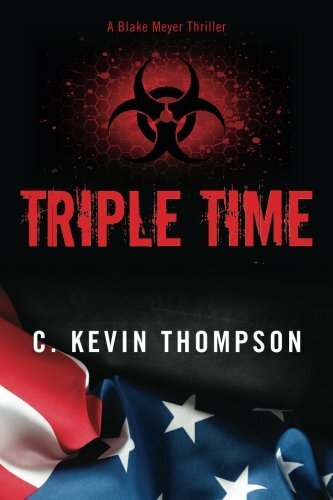 The race of those seeking to do the right thing and trying to get ahead of those who want to wreak havoc and destruction in America kept me turning pages in the novel for hours! The third book is due out late this year and you are not going to want to miss the continuing story, action, and mystery! Grab the first two books and catch up so you’re ready like me to sit down once again and get an afternoon or evening of unbelievable thrills!